Nothing says Muscle on an engine like dual quads. Since way back in the 50s, the big 3 have been stuffing dual quads on factory hot rods. They’ve always oozed the essence of performance yet were a bit tricky to tune. 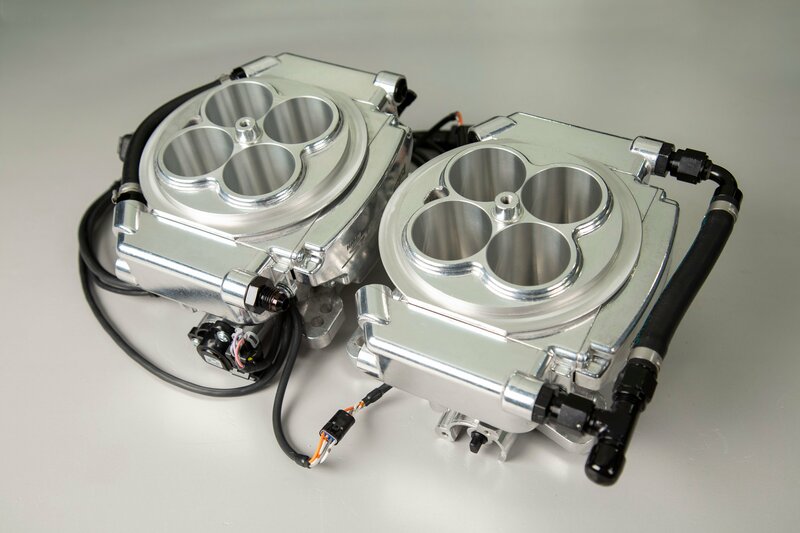 Introducing Sniper EFIs dual quad throttle bodies for dual carb’ed engines. 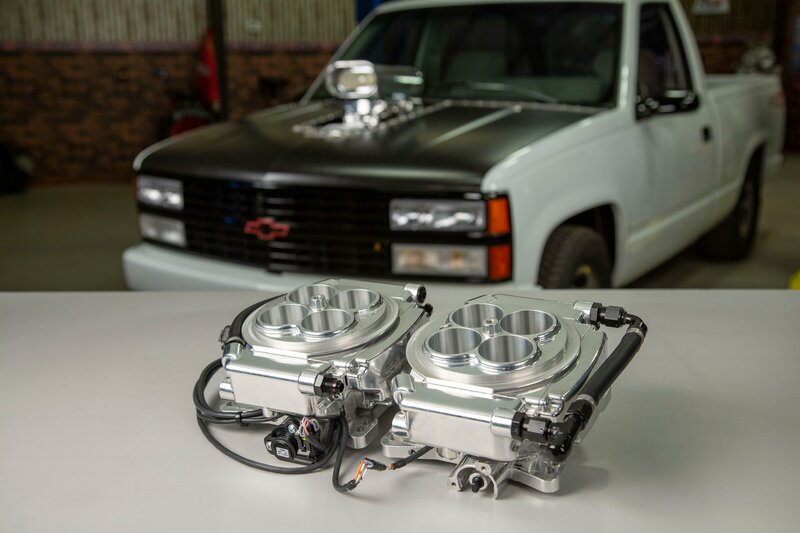 And whether you have a big blown supercharged engine or a naturally aspirated one, Snipers Dual quad throttle bodies will give you all the benefits of EFI with easier starting, tuning AND drivability! And we didn't leave any of the performance out of it. With Sniper EFI’s proven self tuning capabilities you can expect a great driving experience. The Sniper EFI’s rear mounted throttle body handles all the engines sensors and inputs/outputs while the second front mounted throttle body is loaded with injectors only. Two versions of Sniper EFI Dual Quad are available combinations, Sniper EFI Dual Quad is available for Naturally Aspirated Engines. 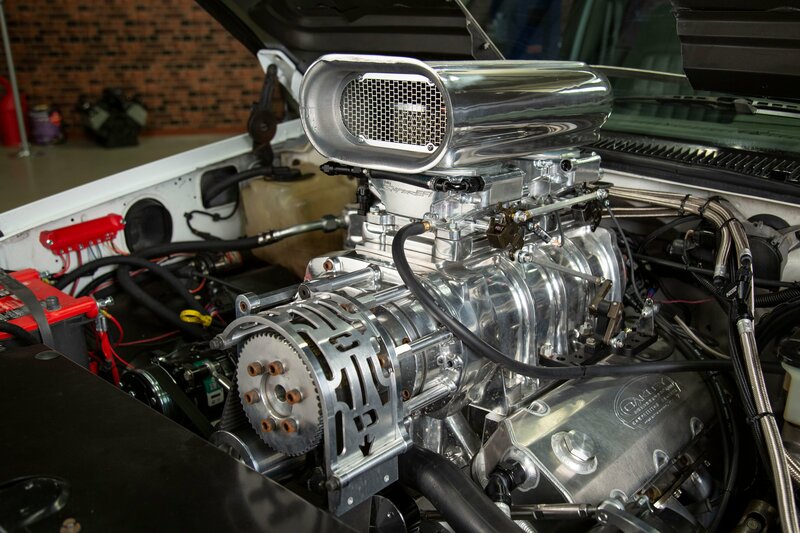 Super Sniper EFI Dual Quad is designed for draw through forced induction applications. Both Sniper EFI 2x4 systems can support up to 1250 HP from the eight 100 lb/hr injectors. With the USB to CAN tuning cable, included with the Super Sniper EFI 2x4, you can download Sniper software to give you the same advanced fuel, ignition timing, and nitrous control features found on Holley HP and Dominator EFI systems. Using the handheld touchscreen monitor you can even program and set target air fuel ratios per boost level! A 2.5 bar MAP sensor tells Super Sniper Dual Quad how much boost your making and monitors up to 21.5 pounds of boost pressure. For Nitrous racers, it supports wet or dry nitrous applications. It also features a built-in single stage progressive nitrous controller that allows you to setup a lean/rich AFR cutoff point for your Sniper and Super Sniper Dual Quad. Timing retard can be RPM or Time based, all controlled from the handheld touchscreen controller. The built-in single stage progressive nitrous controller must besetup through the Sniper software at first but then can be adjusted through the handheld touchscreen display. You can setup a lean/rich AFR cutoff point for your Super sniper. Timing retard can be rpm or timed based all adjusted from the handheld touchscreen display. Like the original Sniper EFI, the Dual Quad version has 5 ground triggered outputs for controlling accessories. Super Sniper EFI Dual quad even adds more outputs along with three 0-5 volt inputs allowing you to monitor additional sensors such as fuel, oil or pressure sensors. Setup and installation is the same and just as easy as the original Sniper EFI. As a matter of fact, You get the tried and true self-tuning ECU, which creates the basic calibration to get you running after you answer a few basic questions on the touch screen display. Just like the original Sniper EFI, you can keep your ride old school with Holley EFI analog-style digital gauges or you can deck it out with all the killer Holley EFI digital dashes available. 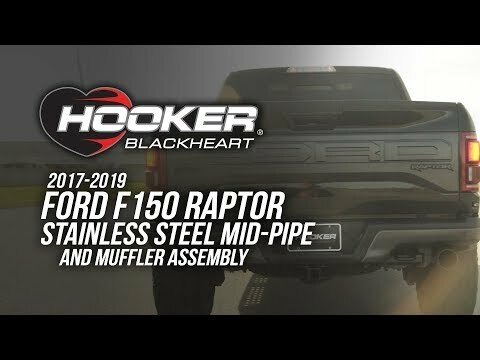 It uses the same 4150 dual pattern mounting flange so making the switch from dual carbs to Sniper EFI Dual quad is super easy and by using OEM style TPS and IAC sensors you’ll get years of dependable service. The Bosch Wideband oxygen sensor provides real time fuel map learning keeping your engine happy for more driving enjoyment even with changes in altitude and climate. Both Sniper EFI Dual Quad and Super Sniper EFI Dual quad are able to control timing when used with a magnetic pickup distributor such as an MSD Pro Billet or a hall effect distributor like Holley’s Dual Sync. By controlling the timing you can set the Rev limiting capabilities on the touch screen display. 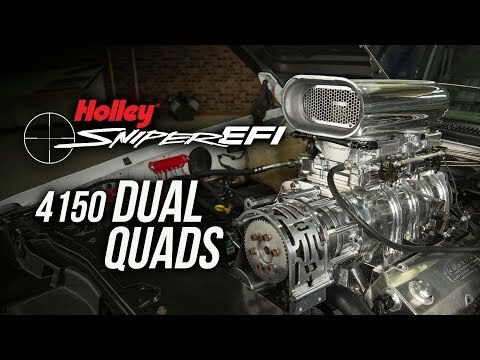 Sniper EFI Dual quad is compatible with CD ignitions such as MSD 6 series or you can use a standalone coil by installing the Holley Coil Driver, part number 556-150 which is not included. 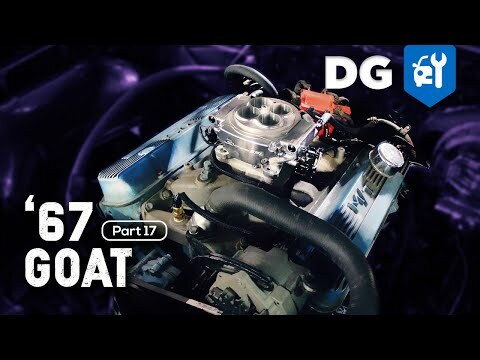 Watch step by step as "Filthy Rich" Bosch upgrades a '67 Goat to electronic fuel injection.